UK insurance firm Admiral insurance has released its top 12 most unusual animal-related car insurance claims from the last two years. And one message is clear: if you see a peacock, turn around and run. Amazing to look at they may be, but peacocks are a motoring menace. No less than four of the entries – that’s a third of the total list, maths fans – involve these feathered fiends. But that’s not to say you shouldn’t watch out for other animal dangers. Dogs, for example. From a man who crashed because he was stroking his four-legged friend to the passenger that pull the handbrake when they thought they were reaching for a puppy, dogs are another perpetual hazard, it seems. We do feel sorry for the person who had their Lancia Delta Integrale eaten by mice while it was in dry storage, though – and who wouldn’t be distracted by the sight of an elephant and a camel tethered at the side of the road? The full list of 12 is reproduced below. 1 – The front seat passenger had a puppy on their lap that jumped down from the seat. The passenger reached down to pick up the puppy but accidently pulled up the handbrake causing the car to skid into another vehicle. 2 – A car was damaged at a village fete when a miniature pony broke loose and climbed over the bonnet. 3 – A car was damaged by a peacock, which on seeing its reflection, clawed the car. 4 – A driver was distracted by a camel and an elephant tethered at the side of the road and collided with a bollard. 5 – A driver drove into a telephone pole while trying to swat a fly inside the vehicle. 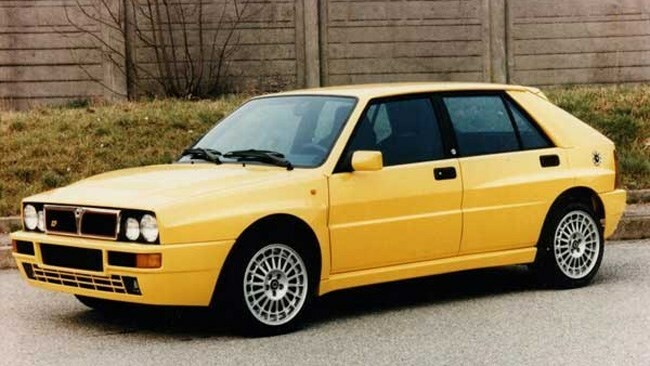 6 – A Lancia Delta Integrale was destroyed while in storage by a nest of mice which chewed through the leather and foam of the two front seats, partially devoured the rear seats and completely stripped the leather from all four door cards. 7 – A car was damaged by a group of peacocks that escaped from the owner’s neighbour’s garden. 8 – While driving, a man leaned over to stroke his dog, got distracted and crashed his car. 9 – A driver caused a multi-car shunt after being startled by a spider dangling from the rear view mirror. 10 – A car was parked in a woodland car park and was damaged by a male peacock that took a dislike to the vehicle. 11 – A car was damaged by rats, which entered the engine compartment and chewed through internal parts. 12 – A car was damaged while parked in a hotel car park after it was attacked by a peacock owned by the hotel.